Associate Professor Rob Hess is one of Australia's foremost sport historians. His PhD was the first ever doctoral study of the history of Australian Rules football, and he has published widely on the history of the code, including an award-winning co-authored book, A National Game: The History of Australian Rules Football, published by Penguin/Viking in 2008. He also has an international reputation for sport history scholarship, holding the position of Academic Editor with the discipline's foremost journal, the International Journal of the History of Sport, published by Routledge. Rob is also currently serving as the President of the Australian Society for Sports History, and he is the Executive Editor of the Bulletin of Sport and Culture. In addition, he is a member of the Western Bulldogs Football Club Heritage Committee, a member of Cycling Victoria's History and Heritage Committee, and he is the honorary historian for the St Bede's/Mentone Tigers Amateur Football Club. Other research interests include the 'secret' history of female players, the 'hidden' ethnic dimensions of Australian Rules football, especially the longstanding involvement of the Chinese community in the code, and the history of disability sport in Victoria. 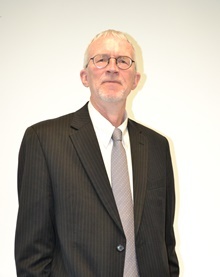 During the course of his academic career, Associate Professor Hess has taught more than a dozen units of study to a range of different year levels. In 2011 he taught sport history-related material to almost 500 students across four units of study. He also has a special interest in teaching units with 'Learning in the Workplace and Community' components. Associate Professor Hess has supervised to completion five PhD students, two MA students and five Honours students. In 2010 he was the recipient of the Vice Chancellor's Citation and Peak Award for 'Excellence in Research and Research Training (Research Supervision Category)' and received a citation for 'excellence in supervisory practice, and the fostering of exceptional postgraduate outcomes at Honours, Masters and PhD level in the field of sport history'. Two PhD students and one MA student.